Home > Silencers & Tracer Units > Echo1 MK1 SR556 6.75 Inch Quick Detech Suppressor. 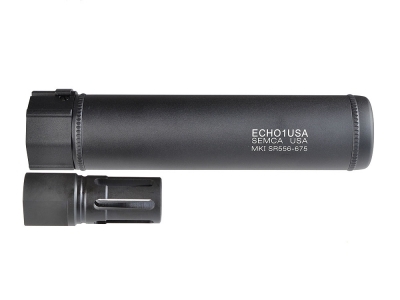 Echo1 MK1 SR556 6.75 Inch Quick Detech Suppressor. 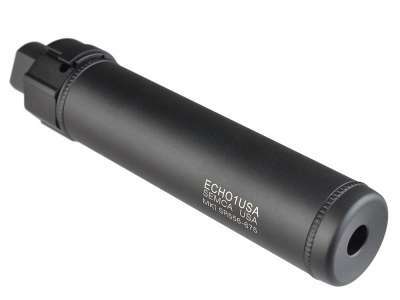 MadBull has partnered with Echo1 to bring to you Echo1’s MK1 SR Quick Detach Barrel Extension. The MK1 is a unique barrel extension because of its quick detach feature. This allows you to attach or remove the barrel extension in one simple step. The MK1 package comes with the barrel extension and flash hider specially designed for quick detach function.